With a population of more than six million, the metropolitan region of Santiago is sixth biggest city in South America and the cultural, political, and financial capital of Chile. Nestled high in the Andes, Santiago claims nearly half of Chile’s total GDP through its strong business service and manufacturing sectors. One of the main stresses surfaced by the city’s Resilience Strategy development process is that of vacant, blighted lots and properties; the Santiago Metropolitan Area has over 4,000 empty lots covering about 65 square kilometers (or around 25 square miles – larger than the island of Manhattan). This is intertwined with another of the city’s main identified stresses – that of poor security and a perception among residents of high crime rates. Poorly maintained and lacking proper lighting and security, the vacant lots fill with litter, becoming fire hazards, and attracting more serious crimes such as destruction of property, gang violence, or illicit drug and alcohol trade. These neglected areas and their associated ill-effects detract from touristic image, the aesthetic qualities of an area, and overall social cohesion. 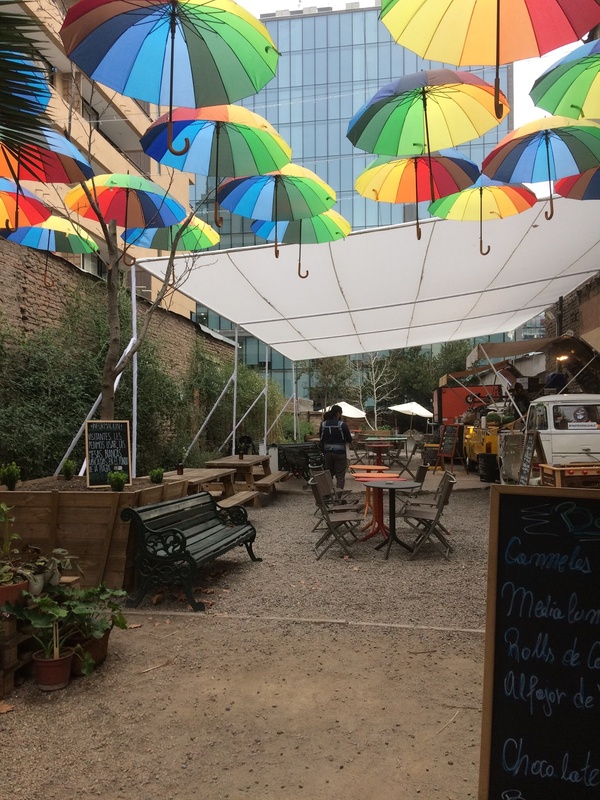 Using the principles of resilience and tactical urbanism, Santiago de Chile is pursuing a solution to these twin stresses – the plaza de bolsillo, or, “pocket park.” The Santiago Resilience Strategy identifies the recovery of empty lots through these pocket plazas as a priority initiative. The initiative entails taking vacant or abandoned lots and creating temporary public spaces jointly operated by the Ministry of Public Works, the Metropolitan Regional Government, and the Metropolitan Intendency. The completed plazas include features such as public art, food trucks, picnic benches, playground equipment, games and toys, plants and community gardens, and even events like markets, concerts, and educational talks. No more than 500 m2 (5300 ft2), the plazas de bolsillo are financed through the National Fund for Regional Development (FNDR), a public investment program, and require an investment cost per square meter of between USD $38-$154. The first plaza de bolsillo was opened to the public in central Santiago in January 2016, on a site formerly used as a parking garage. By mid-2018 the Santiago metropolitan region had successfully created twelve such plazas, and are preparing to open at least four more in following months. In just over two years of operation, the plazas had received hundreds of thousands of visits. The innovative ownership model of the parks allows for their rapid launch – they are designed as temporary, even seasonal, public spaces that can easily be transitioned into other uses should other productive opportunities arise. The success of the program can also be attributed to political will within city government to negotiate with the private property owners and make small investments to obtain substantial public benefits. By applying a resilience lens to the design and development of these spaces, the city has been able to enjoy many co-benefits beyond their main goal of ameliorating the stresses of crime and urban blight. With artisan and farmers’ markets and an array of food trucks, the plazas are driving new local economies and have supported hundreds of cultural entrepreneurs. And as a ‘third space,’ they promote social cohesion and citizen participation by offering a diverse set of activities and features for people of all ages. Finally, each plaza is strategically located in close proximity to a stop on the Metro de Santiago—South America’s most extensive subway system—thereby encouraging pedestrian flows and the use of public transportation. Santiago is now sharing its success and learnings in the field of social infrastructure across the network of 100RC resilient cities. In March 2018, together with the city of Buenos Aires, they released a report titled “New Experiences in the Generation of Public Spaces” that shares best practices and lessons learned for other urban areas seeking guidance on urban public spaces. One of the first of this kind of social infrastructure in Latin America, Santiago’s innovative method for turning urban blight into bustling community space has already spread to other cities in Chile, such as Valdivia, La Serena, and Temuco.